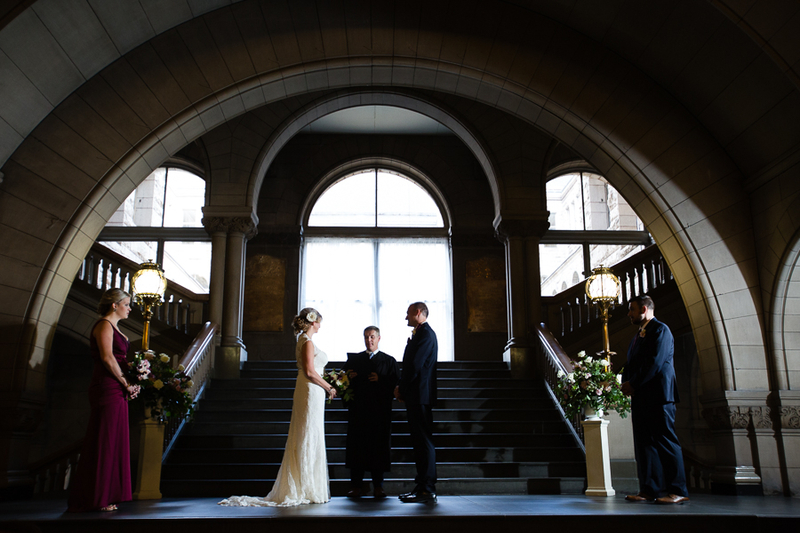 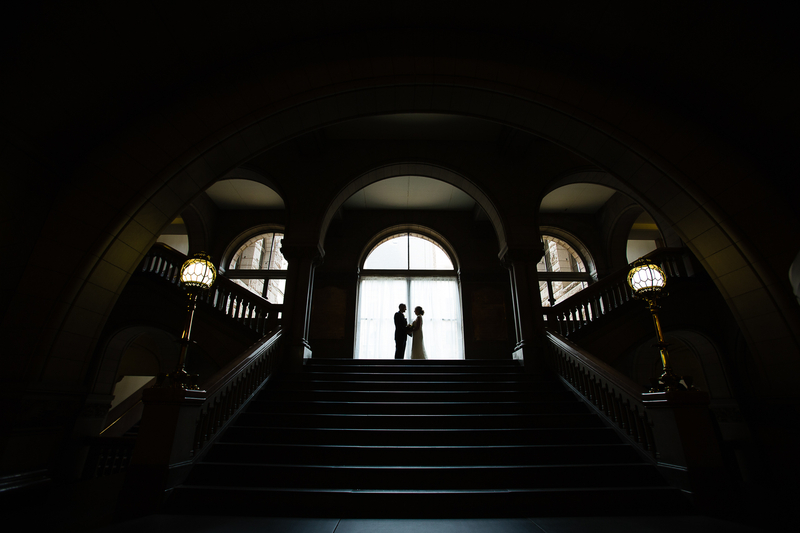 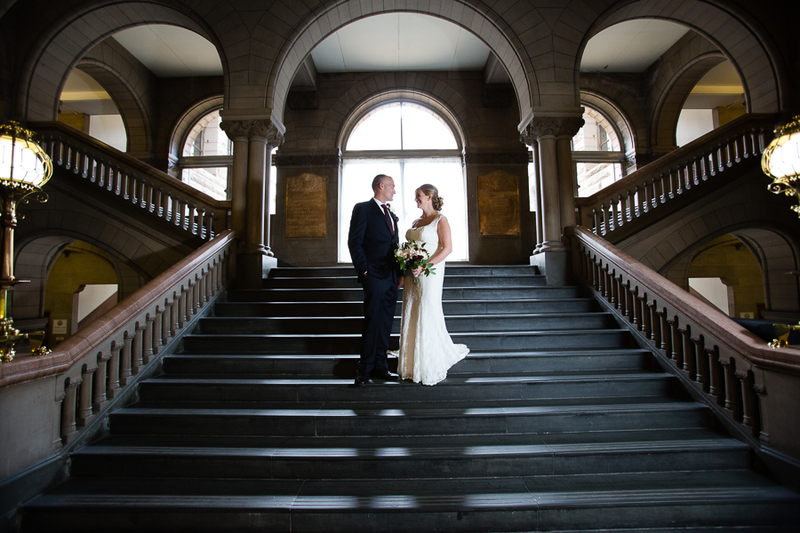 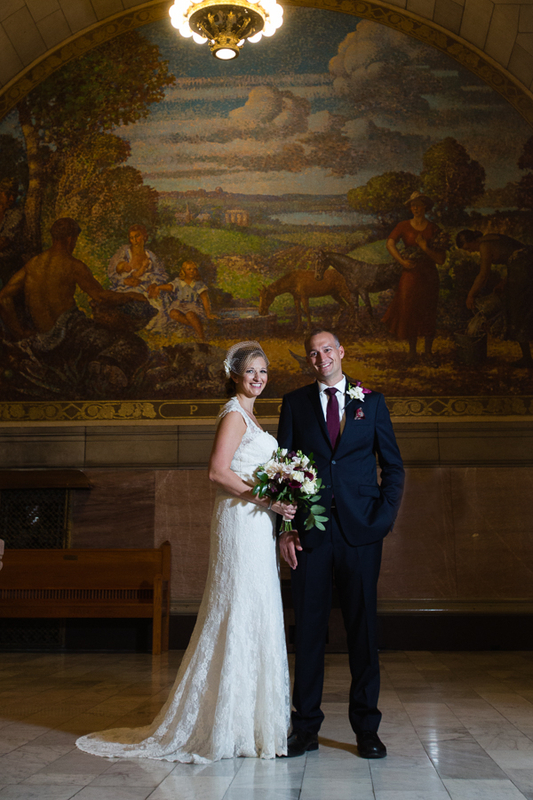 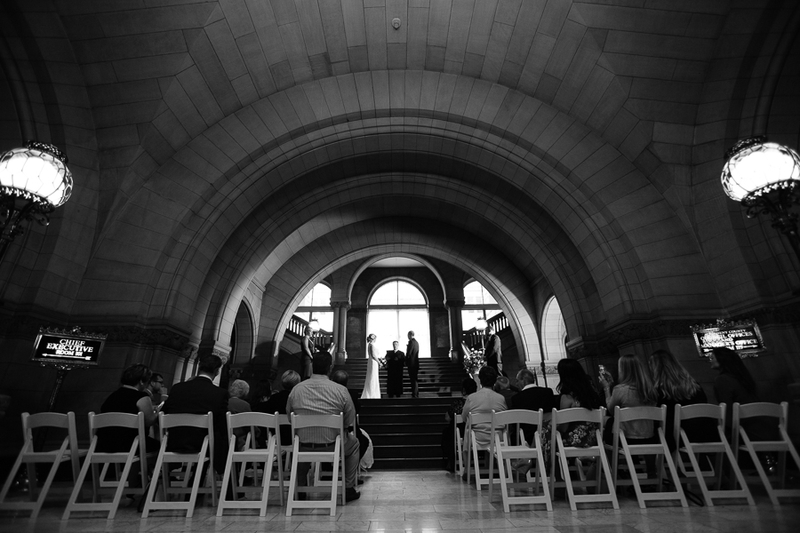 What’s to Love about Weddings at the Allegheny County Courthouse? 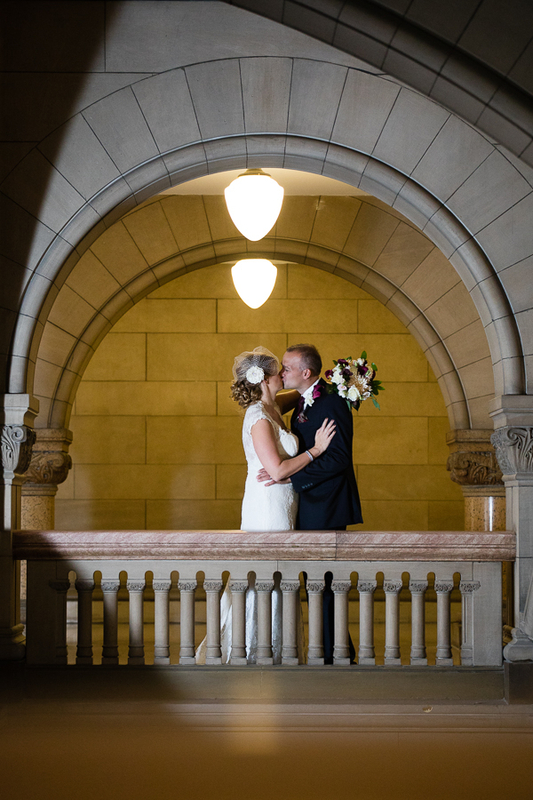 The arches, the staircases, the windows, the murals… it’s no surprise this building is a National Historic Landmark. 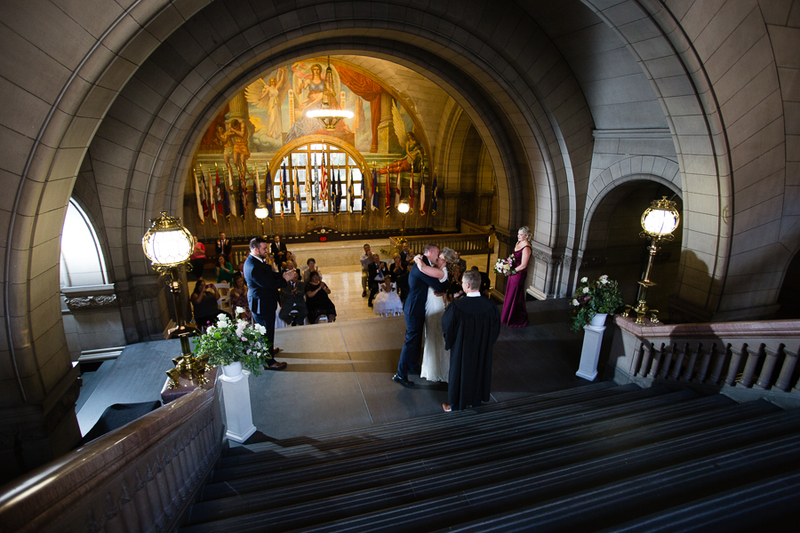 The Grand Staircase is a stunning place for a ceremony. 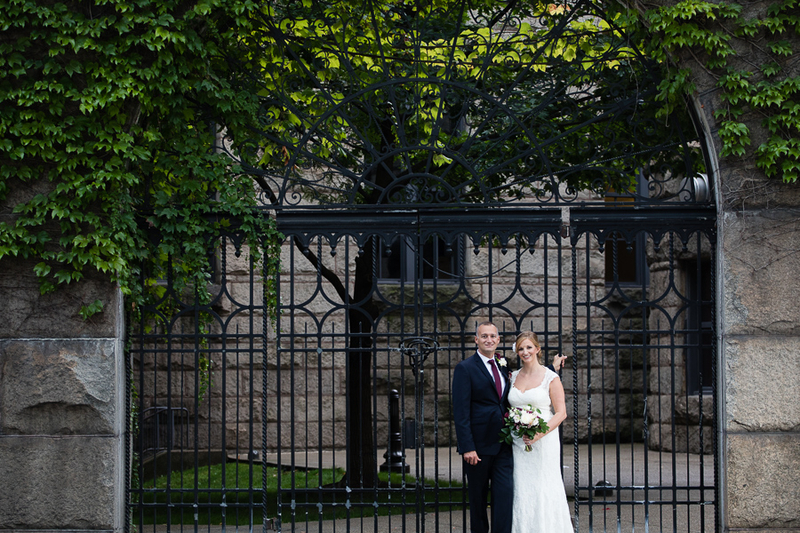 You can rent this area for a cocktail-style reception, or have a seated reception in the beautiful courtyard. 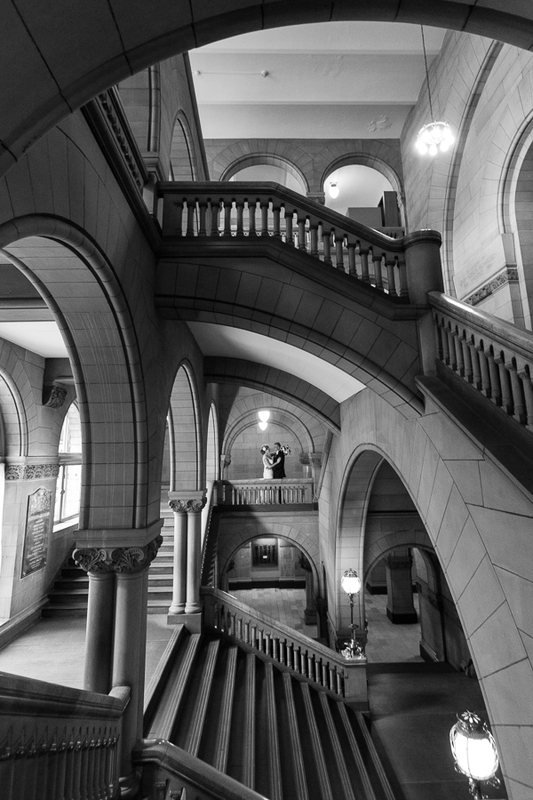 This is a working government building, and you will need to go through security (metal detectors).